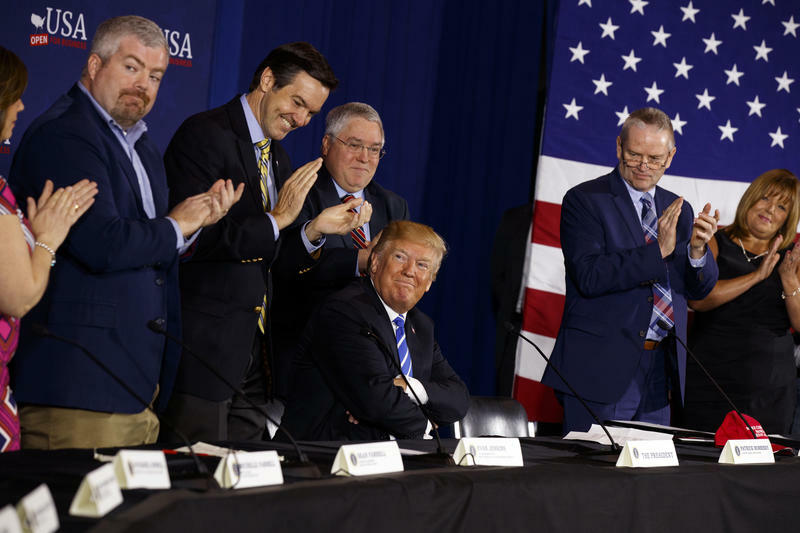 President Donald Trump smiles as people applaud him during a roundtable discussion on tax policy in White Sulphur Springs, W.Va. on Thursday, April 5, 2018. President Donald Trump visited West Virginia Thursday for a roundtable discussion on the recent tax bill. In his wide-ranging remarks, Trump also indicated the administration is looking closely at a recent emergency request made by regional electric utility FirstEnergy Solutions. Trump told a crowd in White Sulphur Springs he is reviewing a request by the Ohio-based utility for emergency aid to keep its struggling coal and nuclear plants running. "We'll be looking at that 202, you know what a 202 is, we'll be looking at that, we're trying," Trump said. "About nine of your people just came up to me outside, 'could you talk about 202,' and we'll be looking at that as soon as we get back." The phrase "202" refers to a section of a federal law that allows the U.S. Department of Energy to issue an emergency order if the agency determines the power grid is at risk. It has often, but not always, been used in cases when natural disasters or war threatens energy supplies. FirstEnergy says the grid's reliability faces grave threats if the plants close because they provide baseload power, and asked for immediate help. 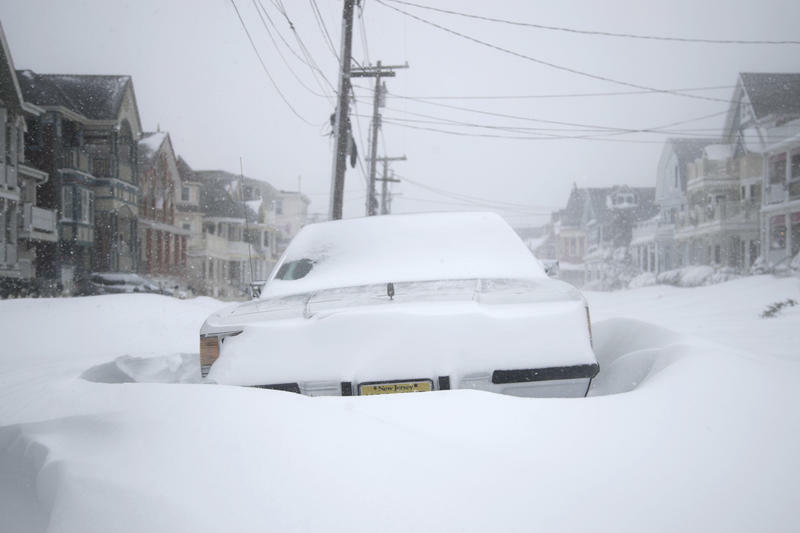 The company cited a recent federal report that found the East Coast would have experienced widespread power outages from the recent “Bomb Cyclone” without electricity generated by coal-fired power plants. Regional grid operator PJM Interconnection disputed FirstEnergy’s claims. In a statement, it said there was “no immediate emergency” and defended the reliability of its systems. The grid operator said it has both enough power supplies and that they are from a diverse mix of fuel sources. 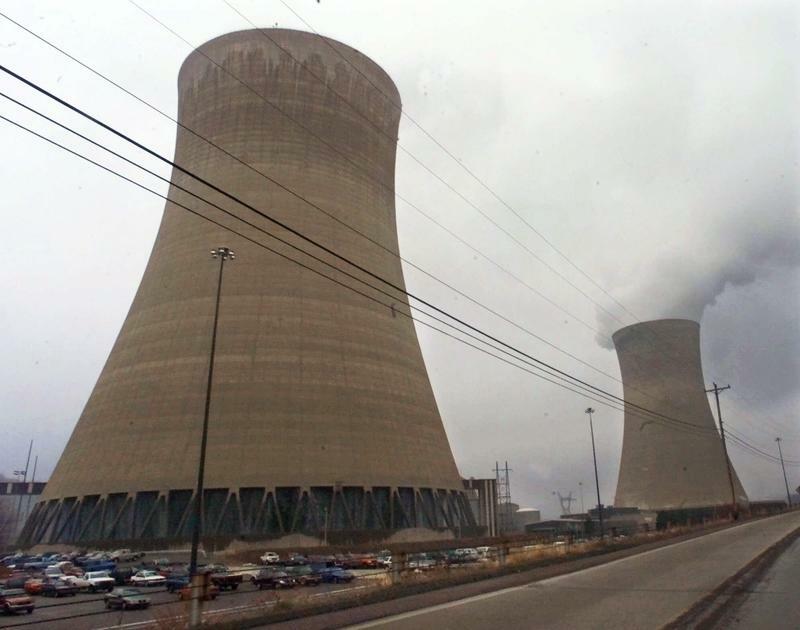 FirstEnergy Solutions operates two coal-fired plants and three nuclear plants in Ohio and Pennsylvania. The company announced it was filing for Chapter 11 bankruptcy over the weekend. FirstEnergy Corp. is working on about $100 million in new transmission projects and evaluating additional system upgrades in West Virginia.